The Bronze Medal winning Somercotes Academy Handball Team. They are: (Front, l-r) Charlotte Wright, Manisha Bains and Libby Jordan. (Back, l-r) Lydia Wright, Kitty Crossley, Teanna Willey, Isobel Russell and Charlotte Merry. (Team member Freya Donner is missing from the picture). Somercotes Academy Girls Year 9 and 10 Handball Team has won a Bronze Medal at the County Handball Finals. The team performed so well that the Men's GB Handball Team Coach who attended described the girls as "the standout team of the finals." Ricardo Vasconcelos was so impressed that he has invited team members Charlotte Merry and Kitty Crossley to a trial at the Girls England Handball base in Nottingham. The competition took place at Bishop Grosseteste University, Lincoln. Somercotes Academy had earlier won the district competition by beating Louth Academy 14-1 in the final to get to the County Finals. 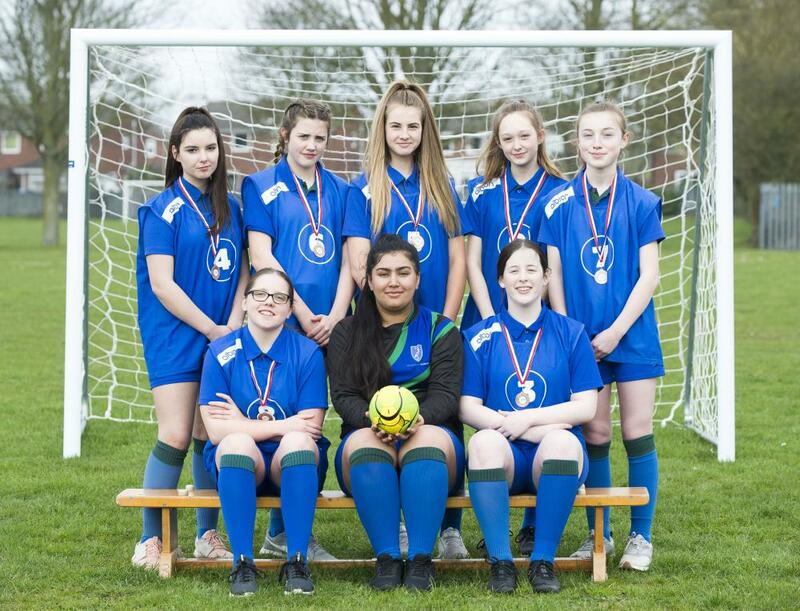 Girls Handball is still an up-and-coming sport so limited team numbers meant that both Somercotes and Louth Academies were invited to compete in the County Finals. They competed against other district winners around Lincolnshire - Branston Academy and Kesteven and Sleaford High School. The Somercotes team started off by beating Branston 2-0 very impressively. They then went on to beat Louth 3-2. Having won two out of the three matches already, the girls only needed a draw to get through to the final. They unfortunately lost 4-2 against Kesteven and Sleaford, missing out on the final by just one goal, having collected the same amount of points as Branston, and Kesteven and Sleaford. The latter went on to win the competition and make it to the Regional Finals in Derby. Chris Prendergast, Somercotes Academy Curriculum Leader for P.E., was full of praise for the team. 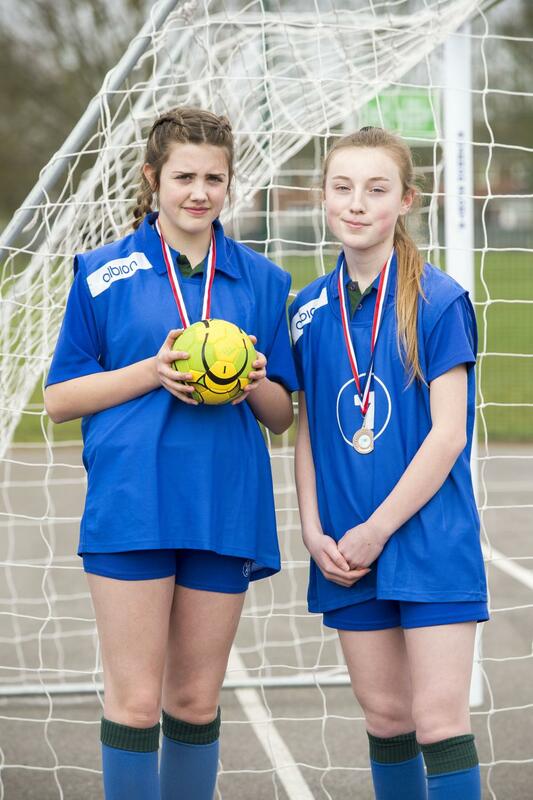 "The girls did themselves and Somercotes Academy proud. They lost out on a place in the final by just one goal, and beat the team who made the final 2-0, so they were very unlucky, to say the least. "The Somercotes team was absolutely fabulous throughout and demonstrated the hard work they have put in this year to become a very successful handball team. "To have the Men's GB Handball Team Coach praise them so highly was just brilliant, and Charlotte and Kitty should be especially proud of their fantastic achievement after he invited them to a trial." Somercotes Academy Girls Handball players, Kitty Crossley and Charlotte Merry, who have been picked for an England training session.